This easy instant pot chicken recipe is the perfect set and forget meal! 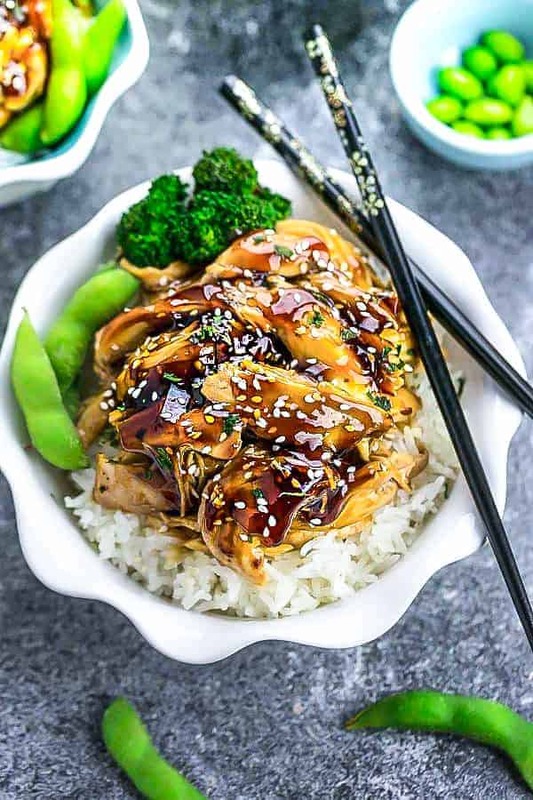 Instant pot teriyaki chicken made with a delicious homemade teriyaki sauce. Only needs 10 min of prep! Teriyaki chicken is a one of our favorite Japanese takeout dishes we make at home. 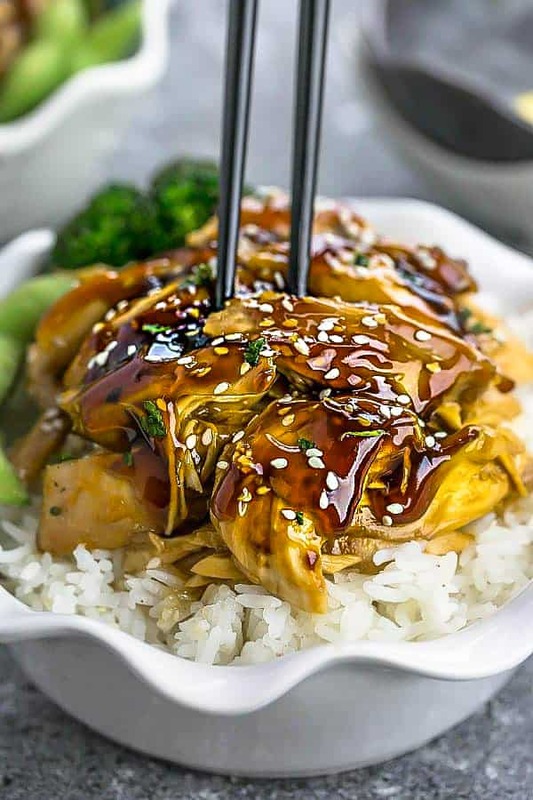 Teriyaki chicken is a popular classic Japanese dish. It’s the very first Japanese dish I ever ordered at our local Japanese restaurant…and ever since then, I’ve been making my very own homemade takeout versions. But my latest favorite has to be this Instant Pot Teriyaki Chicken. Ever since getting my Instant Pot last year, it’s been a staple at helping me get dinner on the table quickly. 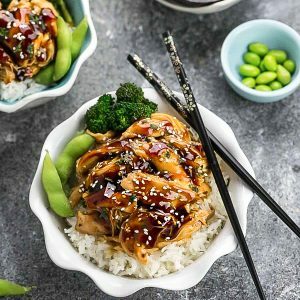 This Instant Pot Teriyaki Chicken is seriously so easy to make and bursting with authentic sweet and savory flavors. For the best teriyaki chicken, you’re going to want to skip the store-bought bottled sauce and marinade. Homemade teriyaki sauce is SO much better and super easy to make. My recipe for this authentic teriyaki sauce doubles as a marinade and requires just a few simple pantry ingredients. Place the chicken in the Instant Pot. Season with salt and black pepper, to taste. Allow to marinate while you whisk together the sauce. MAKE THE TERIYAKI SAUCE: In a small bowl, combine soy sauce, honey, vinegar, mirin, sesame oil, garlic, and ginger and pour over chicken. Turn the venting knob to SEALING and press MANUAL (old models) or PRESSURE COOK (new models) on high for 5 minutes. The Instant Pot will take a few minutes to come to pressure. Once the Instant Pot has finished cooking the chicken and beeps, allow to naturally release for 15 minutes. Open the lid and remove chicken from Instant Pot and shred with two forks. Press the SAUTE button on the Instant Pot. Combine the cornstarch with water and stir into the Instant Pot. Allow the sauce to bubble and thicken up. Add the chicken back into the Instant Pot and combine with sauce and heat until hot. Serve with any remaining sauce along with your favorite rice, quinoa or noodles. 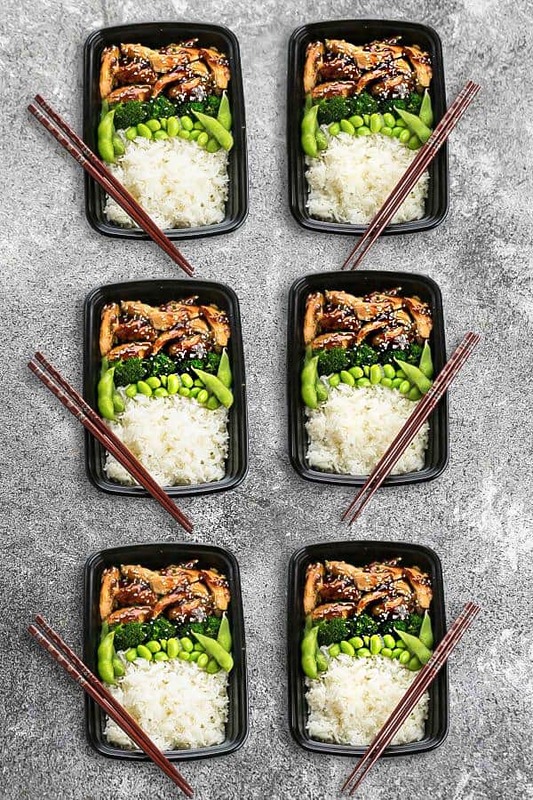 Is teriyaki chicken freezer friendly? Absolutely. Just be sure to store the chicken and any vegetables separately. Store the chicken in an airtight container in the freezer for up to 3 months. I developed and tested this recipe for use in 6 Quart Instant Pot Duo Plus. Not all instant pot recipes work perfectly for all types of instant pots. See this article for more information on the various instant pot sizes. CAN I COOK CHICKEN BREASTS OR CHICKEN THIGHS IN THE INSTANT POT? Yes, absolutely. Both are great options to cook in the Instant Pot. 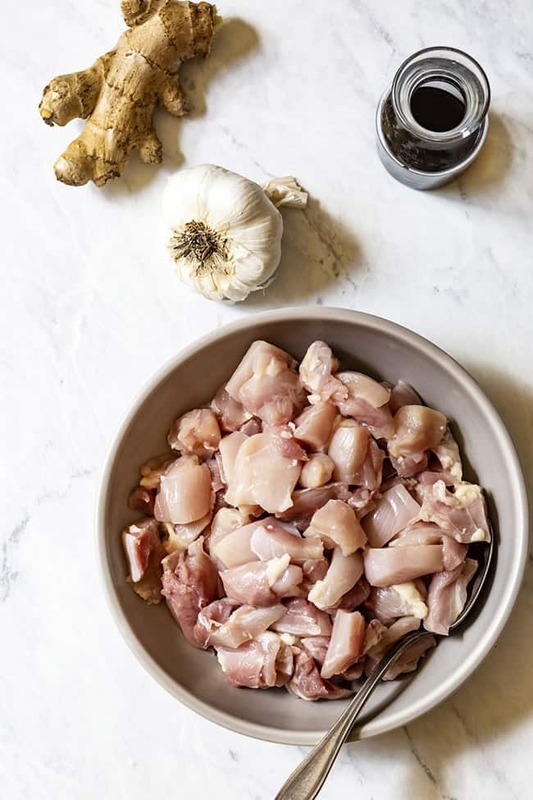 I prefer using boneless skinless chicken thighs but you can also use boneless skinless chicken breasts in this recipe. I like to slice the chicken breasts in half or pound them down to even thickness so they cook evenly. 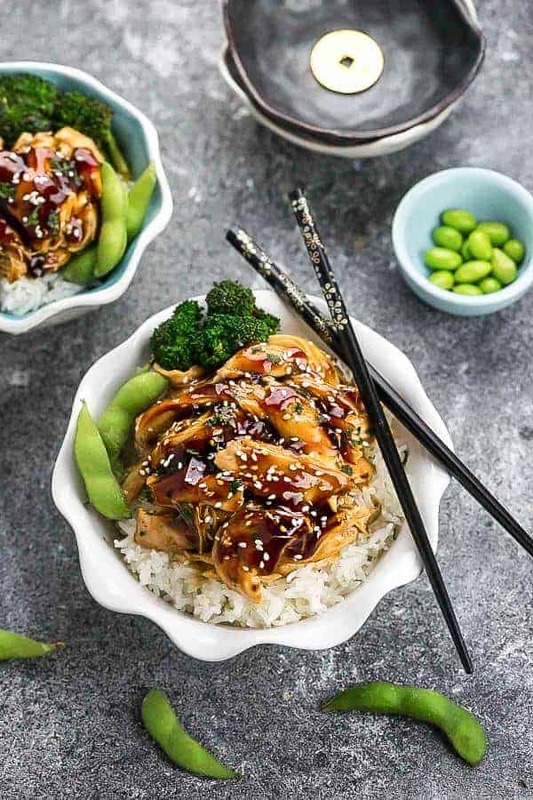 Instant Pot Teriyaki Chicken – this recipe is the perfect set and forget meal with a delicious homemade teriyaki sauce. Best of all, just 10 minutes of prep made in your Instant Pot pressure cooker. In a small bowl, combine soy sauce, honey, vinegar, mirin, sesame oil, garlic, and ginger and pour over chicken. We love this! The flavors were bEtter than our fave resto! Thank you! THat was absolutely delicious and so easy to make. I made exactly to the recipe and wouldn’t change a thing next time. Delicious! Perfect with roasted broccoli.